petition: Don't Promote Animal Cruelty, Kim Kardashian! Don't Promote Animal Cruelty, Kim Kardashian! 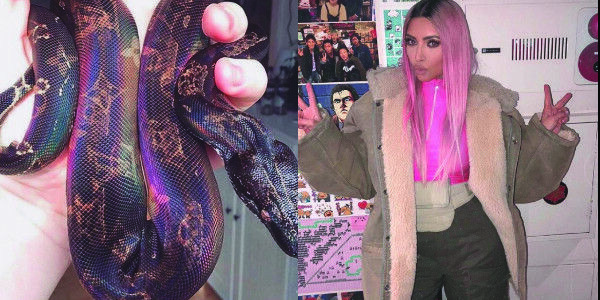 This week, Kim Kardashian posted a photo of a live snake on Instagram. It wasn't just any snake, though. The snake's skin was covered with the classic Louis Vuitton monogram and captioned "Little Louis." After much public outrage, People magazine confirmed that the image was photoshopped and the snake's skin had not actually been altered — but that doesn't make it okay. Sign now to urge Kim Kardashian to make a statement to her followers clarifying that the snake was not actually physically altered and to donate money to an animal cruelty organization. Celebrities like Kim Kardashian have extraordinary influence. By posting this image without proper context, she sent a very dangerous message to her followers. It's not hard to imagine an impressionable fan tattooing a snake with Louis Vuitton monograms after seeing Kim's photo. Kim Kardashian has a real opportunity to use her influence for good. Please sign this petition demanding that she tell her followers that altering snakes is not okay and donate money to an organization fighting animal cruelty.